Involves the body’s response to a particular food be it peanuts, dairy, eggs, or others. Food allergies can manifest in various ways. Most understand those allergies that cause anaphylaxis, obstructing airway with inflammation and hives leading to severe complications, possibly fatal if not treated correctly. 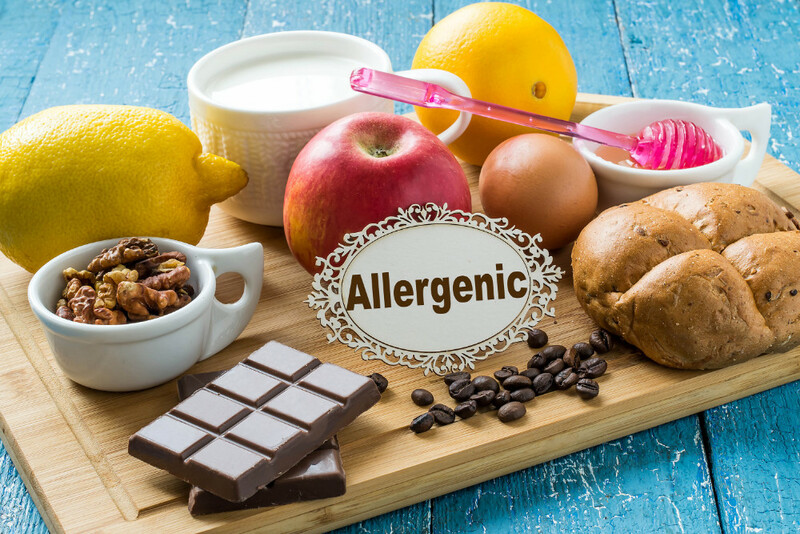 On the other hand, food allergies can also be seen as food sensitivity/intolerance, where the body may not go into full anaphylaxis, but may manifest a reaction through other ways. For instance, you may get a rash/hives anywhere on the body associated with itching, post-nasal drip (constant drainage of phlegm having to clear your throat constantly), abdominal discomfort (stomach pain, vomiting, gas/bloating, diarrhea/loose stool), headache, sudden drop of blood pressure leading to lightheadedness or dizziness, or others. Often times, increased exposure to the same food may increase the severity of the reaction. It is important to identify the symptoms as well as identify the food triggers to prevent severe complications. With many changes to the quality of our foods supply today, together with increased toxic loads (heavy metals, herbicides, pesticides, other chemicals) and inability to detoxify quickly enough, coupled with genetics and lifestyle it is no wonder that many struggle with food allergies/intolerances. However, there is much that can be done to greatly improving or eliminating the reaction to the particular food. As with most chronic conditions, it is important to identify the source or at least the main triggers of food allergies/intolerances. For this reason, we will take a thorough history, assess lifestyle habits that includes diet, exercise, sleep, detoxification of the body, medications/supplements, mental/emotional state and lab work to determine what is contributing to food allergies/intolerances. It is important to note that there are many ways to test food allergies, however, we prefer to test both IgE (immune cells involved with anaphylaxis) and IgG (immune cells associated with intolerances/sensitivities) via blood test. Based on the results we will temporarily remove all positive foods from the diet for 28 days, to allow time for the body to heal while implementing other methods for further healing and prevention. Together with dietary changes, we may also address the emotional/mental component to food with herbs, homeopathy, acupuncture, and/or the Emotion Code.